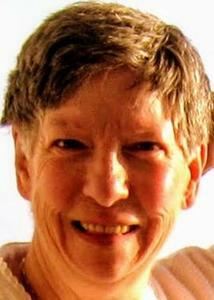 Joan Kay Moir, age 74, of Grand Rapids, Michigan died peacefully on Thursday, March 28, 2019. Joan was born in October of 1944 in Detroit, Michigan to the late Godfrey and Mary Moir. She is survived by both her siblings, her brother Robert Godfrey Moir of Cedar, Michigan and sister Cathy Mae (Roger) Will of Rothbury, Michigan as well as by several nieces and nephews. Joan had enjoyed a long and rewarding career serving in the U.S. Army while stationed in Germany. She retired with the rank of Sergeant. In acknowledgment of Joan’s service to her country, she will be laid to rest after a graveside service with military honors in Fort Custer National Cemetery in Augusta, Michigan on Wednesday, April 10, 2019 at 2:00 PM. In lieu of flowers, please consider making a memorial contribution in Joan’s name to Holland Home’s Faith Hospice at (2100 Raybrook SE, Ste. 300, Grand Rapids, MI 49546).